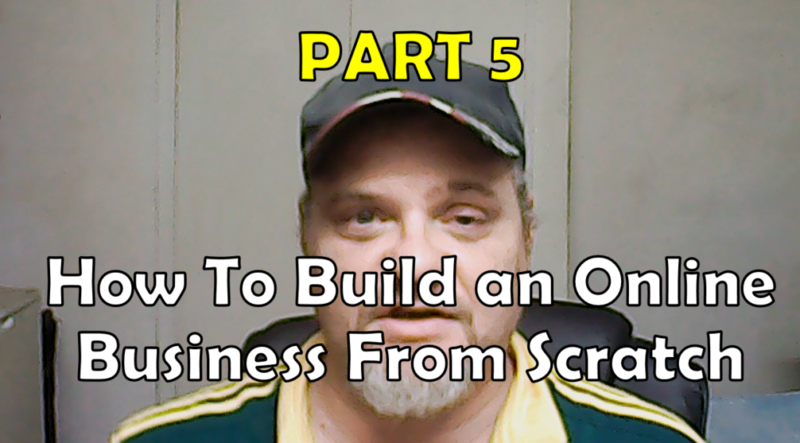 Here is the next installment of How To Build an Online Business From Scratch PART 5 and this is where you start putting yourself in a league of your own by starting Something called a News Letter. So many companies weather it be an engineering firm or a wood shop or even an accounting company do not have this option. They simply deal with a customer as they walk in the store and then never see them again until they do. This model of doing business is not only going keep you out of the loop with your customers but your customer is not going to know what the latest is in that particular niche. So if you have a major discount on engine repair on cars how will they know if you don't have a News Letter. This is something I see all the time. I walk into a fast food joint and I see that there is a board with loads of business cards from customers who order food, and NOTHING is done with all the emails on those cards for telling people about the fast food latest deal on a Burger. The Fast Food joint loses out of more customers. I see this almost everywhere I go. You need to start sending out News Letters to your customers to keep them informed. It's a MUST in today's competitive world. Churches do it, Clubs do it, because they want there audience to be informed. As far as I am aware churches have been doing this before the Internet. They know how to take care of their flock. YES even churches can give great advice about customer support. Makes sense right? When you send out a Newsletter you are telling your customers base YOU are still there and YOU are ready to help.